Drywall, also termed as sheet rock or wallboard, is a product used to hold up the paint on walls. Traditionally homes used wet plaster on walls, which later on ceased to be in use after the sheetrock or drywall became the mainstay in homes. 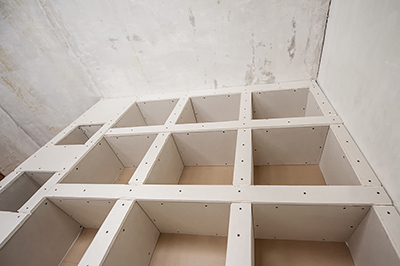 While drywall may be a preferred method, it has its own issues, which we will see here in detail, so you can take the necessary precautions or deal with them in the right way. Drywall patching is a method of repair, which is done without having to install a fresh piece. Small holes, cracks and areas of water damage can be repaired by the patching method. In case of minor dings and dents, a little spackling will take care of the defect. However, if you have a big hole in the ceiling or wall you need to install a fresh piece of sheetrock. Once the new sheetrock is placed, joint taping and finishing should be done. This process takes a couple of days and there are many steps involved. In case of minor faults, like a nail hole, gash, nicks or scrapes, the area affected should be sanded, if required and it is then filled with a fast setting joint compound or spackling material. It is left to dry and the surface is sanded and primer application is done to complete the repair. Outlet openings that are too large and holes made for changing light fixtures can leave an unsightly defect on the ceiling and walls. Tape or mesh repair pieces are placed on the defects, if they are small. For large holes, especially those formed for getting plumbing access need to be repaired using a fresh drywall. Sagging ceilings are mostly caused due to vibration and wear and tear. The plaster keys become damaged. If sagging occurs in a new building, it is a fault in the construction. Sometimes the weight of the drywall can cause the sagging. California builders generally use strapping screws of one by three inches or nails of two by two to the truss’ underside to prevent the sagging, while some use 5/8 inch of drywall to prevent it. When construction is undertaken in cold climates and is done in a poor sequence, moisture may be trapped and seeps into the drywall causing it to sag. Builders usually coordinate the construction work to ensure insulation is added immediately after ceiling installation. Damage can occur when wallpaper is used on unprepared walls. When you try to replace the existing wallpaper, it will not come off easily due to the lack of proper sealer application, leading to damage to the drywall and a big mess to handle. Very often wall covering or painting work in a home or commercial space is disrupted due to the unpleasant surprises that the installers find in relation to the drywall repair. 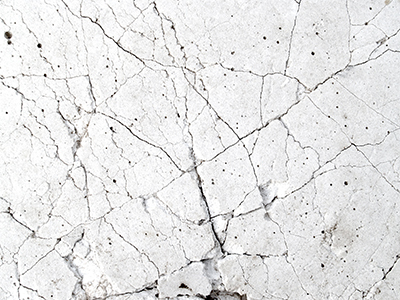 From minor nail holes to large-scale damage, these defects need to be attended to properly before proceeding to the finishing and painting job.